An essay (plain text) question is an essay type question that asks the student to enter text in response to a stimulus. It allows for minimal text control, such as cut, copy, and paste, as determined by the item author. In the Compose Question section, write the question. If you want to add a word limit for the students' answers, enter it in the Word Limit field. Then select if you want the word limit to be visible or off. Click on the carat to show More Options. You can add information to format the layout and select Browser Spellcheck. You can also include a place holder. 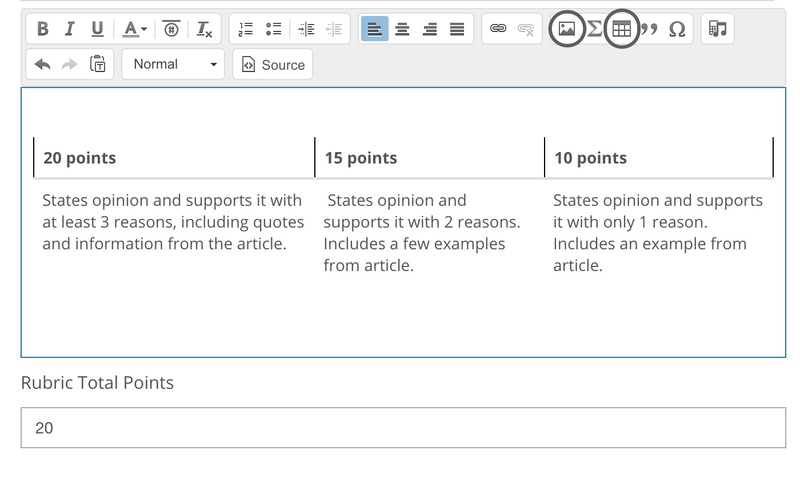 In the Rubric field, you can add the rubric criteria, add a rubric image or create a rubric by inserting a table with the table icon.